On 15 august, the Drifters launched their third strike on the Amarr Empire, targeting the Imperial Navy Headquarters. But this time the Amarr Empire was prepared for them. A large fleet of battleships, cruisers & frigates defended the system under the command of Grand Admiral Ren Karetta. On top of this, the Grand Admiral called out for capsuleers to assist in the defense. Many capsuleers responded to his command, among them PIE, CVA, SFRIM & FCORD forces. This time, the Drifters had alot more trouble pressing their attack, as the Imperial Navy successfully defended several system critical locations like Stargates & the Imperal Navy HQ. Through the fight, the Imperial Navy bore the brunt of the Drifter offensive, destroying many of their ships without suffering too much losses. Originally it was suspected that the Drifters target Safizon because of the construction of the newest Amarr Flagship, the TES Auctoritas. However this is unlikely as this advanced ship is currently in the Ebidan system, where it is performing flight trials for the next week or two. What triggers the Drifter attacks on Safizon is currently not known, albeit speculations are abound. The most heared one is that the Imperial Navy HQ houses a piece of advanced technology that the Drifters either want to recover or to destroy. Keep in mind, this is merely speculation! But this is not all... recently reports have reached me from reliable sources that the Drifters are acting aggressively beyond the borders of Amarr space! 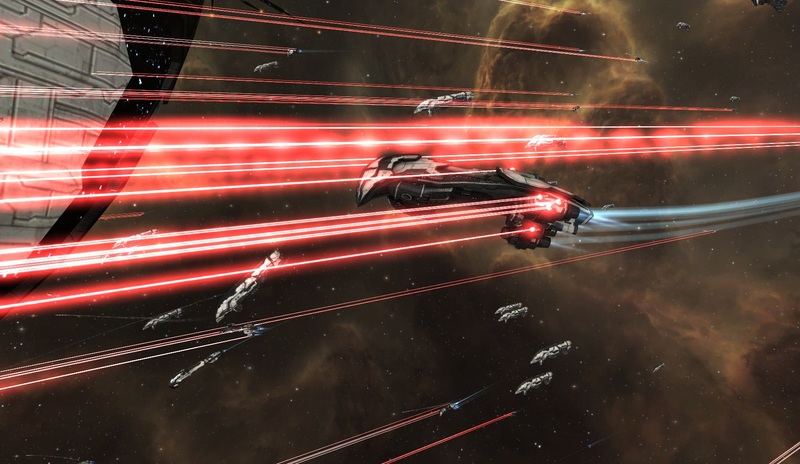 Gallente Gate patrols engage in skirmishes with Drifters! Recently, people witnessed small skirmishes between the Gallente Navy & Police forces and the Drifters. So far they've been small & limited in scope. Witnesses report that shots are being traded, but that they stand down after a time, ceasing aggression. So far, no reports of skirmishes have come from the State or Republic, but currently there's not enough information to confirm this. Capsuleers who witnessed skirmishes between Drifters & other navy or Police forces are always welcome to report this to me & the official organisations. If possible, take images of it, in the hope additional info can be retrieved through it! The Amarr Empire marches to war! The 13th Alliance tournament has kicked off!